The program is for boys in grades 1-8 and is divided into four age groups. It is primarily for Stoughton residents but children from other towns are welcome to join if their town does not have a program. The program is built around participation in tOld Colony Lacrosse League (explained below). There are some key differences in the age groups. The games are played during the spring season from April through June. Registration begins in the fall of the previous year so we can determine how many teams we will have to schedule. During the fall and winter, we have skills clinics so that players can refresh their skills and new players can get started with some basic skills. Our first outdoor practice will begin mid-March. encourage players to sign up during early or fall registration. US Lacrosse is a national organization that strives to provide programs and services to inspire lacrosse participation, while protecting the integrity of the game. In addition to registration, players are required to register with US Lacrosse . 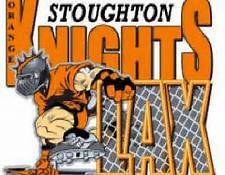 Stoughton Youth Lacrosse as an organization is also a member. Through the fees we pay, US Lacrosse members receive Accident and Liability insurance coverage. All of our players must be US Lacrosse members for the program and participants to be covered. Memberships are 1 year in length, are paid directly to US Lacrosse and are non-refundable. Note that many camps and clubs also require a membership so it is useful to keep your number where you can find it again.